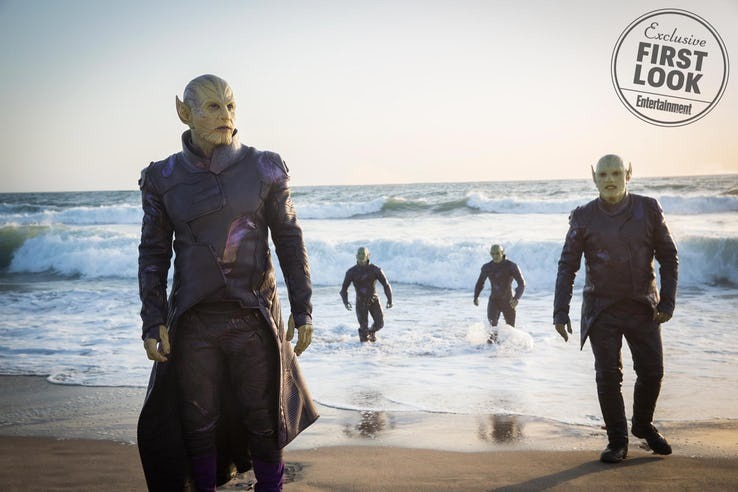 Well Marvel fans, we finally get the first looks of Captain Marvel and the Skrulls in full costume courtesy of Entertainment Weekly. 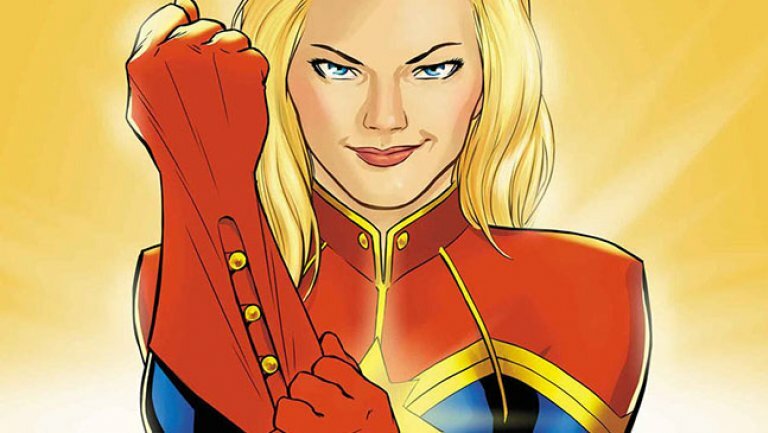 Since it was announced that the film featuring the superheroine is in production and its leading lady chosen, fans have been eager to see her on screen. That day has arrived and here are the pics. First up, Carol Danvers aka Captain Marvel is portrayed by Brie Larson. Her costume is nearly comic accurate with the red and blue coloration and gold trim throughout. Like with the other films in the MCU, fans get the expected homage to the comic book design of the outfit along with the updated look needed to fit the character into the real world. 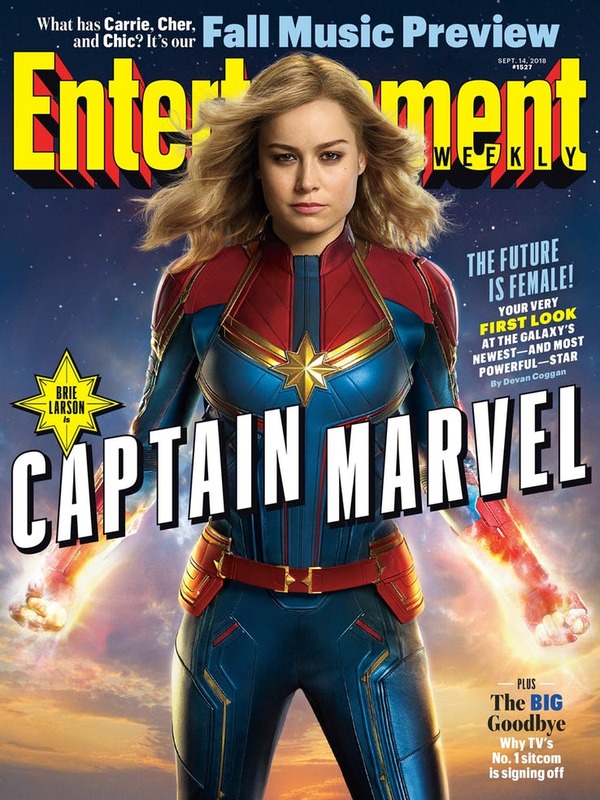 Captain Marvel will also be featured on the front cover of September issue of Entertainment Weekly which gives an exclusive look behind the scenes of Marvel Studios’ 21st film in the MCU. Below we have the Skrulls who will play a major role in the Captain Marvel film. Praise the makeup department for capturing their iconic look from the comics, same purple outfits and same green skin. The attention to detail has been paid mostly to the pointed ears and familiar wrinkled chins. Their colors are not as vibrant as their comic counterparts but that is to be expected. You’ll notice that the black head pieces the Skrulls are known for have been made as part of their skin in the makeup. Some fans may be quick to point out this little detail but the familiar look is still there. Ben Mendelsohn has been cast to portray the Skrull leader Talos. He has proved himself to be a good actor with his roles in Rogue One: A Star Wars tale as Orson Krennic and Ready Player One as businessman Nolan Sorrento. Captain Marvel is not intended to be an origin film, likely taking a page from 2017’s Spider-Man: Homecoming with Peter Parker already established as Spider-Man. The film will focus on the “Kree – Skrull War” storyline from the comics, which will most likely be a loose adaption just like the “Civil War” and “Infinity Gauntlet” sagas. So far, Marvel has not released a trailer for the film which is unusual given their M.O. of dropping trailer months before a film is released. Case in point, the trailer for Black Panther was revealed in July 2017, well ahead of its February 16, 2018 release date. 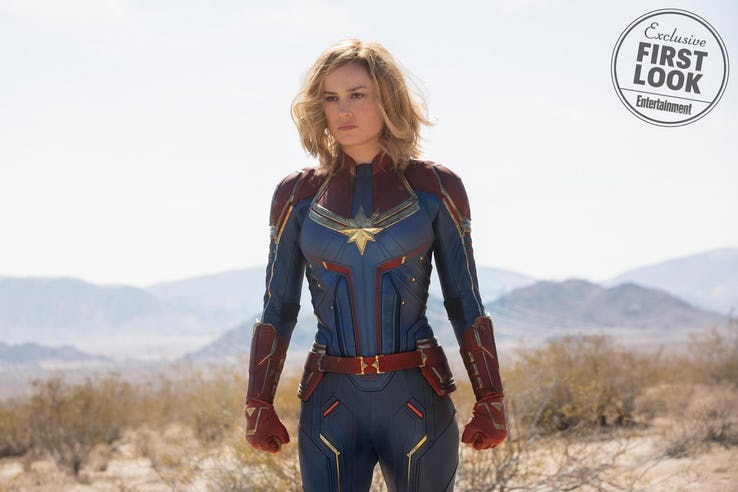 With these production photos and an article in Entertainment Weekly, we should get a glimpse of Captain Marvel in action before the year is out.